← If bricks could talk ! This is my entry for this weeks Monochrome Madness challenge. 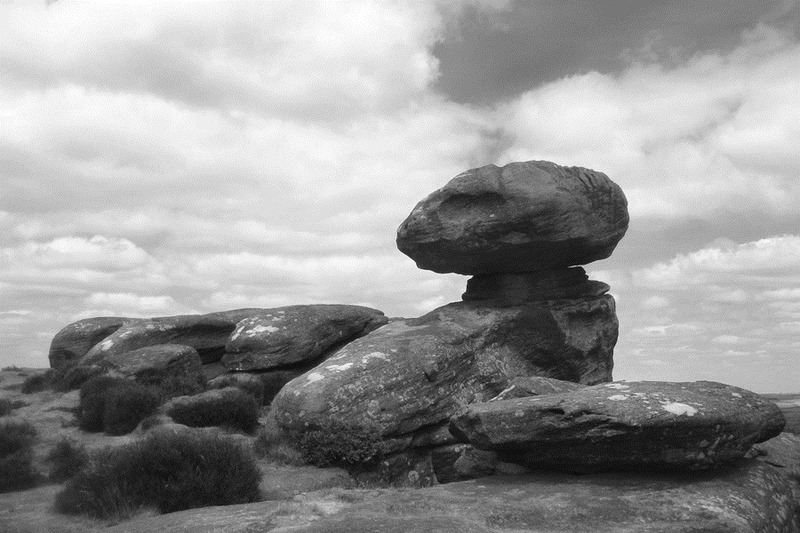 It is one of the Brimham Rocks situated close to Pateley Bridge in Yorkshire. It is one of a series of gritstone boulders that have been weathered into fantastic shapes by the wind and rain. A popular attraction since Victorian times when the visitors used to give them fanciful names. This entry was posted in Monochrome, Monochrome Madness, Photography. Bookmark the permalink. 2 Responses to Brimham Rocks. A real balancing rock, amazing how the shape of rocks are formed. Good luck with your photo. The rock formations are always worth a visit. My photo was chosen by Leanne Cole and featured in her Monochrome Madness Blog. I seem to be having more success with my photos in Australia than back home in the UK. I think I will have to join Melbourne Camera Club !